As European sports (and thus mostly soccer) fan, I couldn’t help but notice the different paths the two developed world continents (with all due respect for Australia) are on with regards to their favourite weekend past-time. 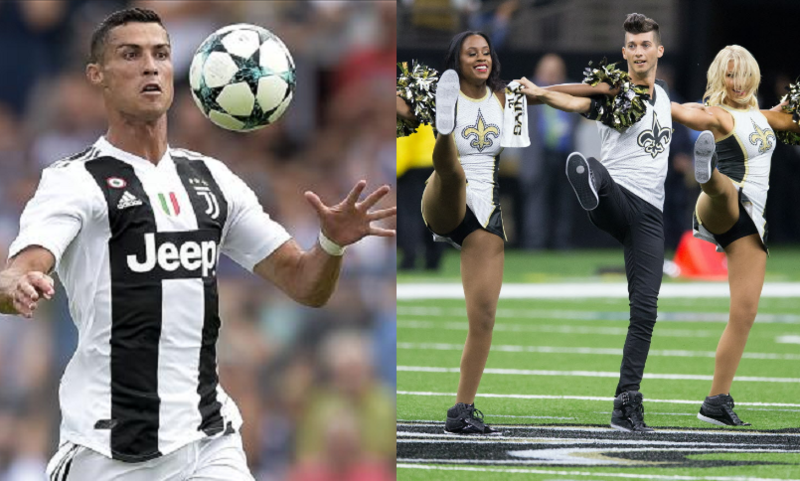 Whereas the US has now introduced male cheerleaders into the NFL to comply with the #MeToo culture and attendance is still in decline, thousands turned up in Italy to see soccer star Ronaldo make his debut for Juventus. Two women in the audience commented on Hernandez's historic appearance in the pre-game excitement: "If he can dance and perform, I don't care," while her friend said: "I think it's awesome." Meanwhile, NFL attendance is still sliding down, with the Dallas Cowboys stating that even their training camp attendance dropped from 55,432 attendees at the 16 pre-season practices last season to 40,081 this season or a decline of almost 1,000 fans per session. Most viewers admit that NFL fandom is still in decline as the controversy surrounding the national anthem won’t go away. Over in Europe, the English Premier League debuted with a stunning match of Chelsea against Arsenal (3-2 win for Chelsea) whilst in Italy many fans were able to forget their sorrow over the Genoa bridge disaster on Saturday evening as Portuguese soccer superstar Ronaldo made his debut for champion squad Juventus (coming over from Spanish champions league winner Real Madrid) in the Italian Serie A.
Ronaldo made a winning start to his Juventus career as his new club came from behind to beat Chievo 2-3 in a dramatic start to their season. Juventus fans hope that with the signing of Ronaldo, their team will finally have the strength to beat top European teams and win the coveted Champions League trophy. This whole "controversy” is staged to pull Americans away from a distinctly American sport. Football is all American, it's part of our culture, part of our identity as a nation. This whole thing is to kill that unique sport that makes us different from all other nations. We don't love/care about Soccer like ALL other nations. This is about stripping American identity. why isn't he in a skirt? ! anyone white person who still watches the NFL or NBA is a traitor to their race and country. WRONG! this is designed to destroy what made America and The West great, smart white people.